In this post, let’s take a look at some offshore counters listed in SGX and how are they inter-connected to one another to make win-win businesses profiting among themselves. Below are some of them with their market cap in bracket. Among these companies together with ex-Labroy founders' net worth, we are talking about S$6 billions or more of capital creating a network among themselves. Couple with their extended network to local or global international oil and gas companies, basically we are looking at companies that can influence the Oil and Gas Stock market in Singapore or even regionally and globally. Now, let us take a closer look on their inter-relationships. In my post earlier, I mention about the relationship of Swissco and Ezion, with owner of Swissco Tan Kim Seng also a top 20 shareholder in Ezion. The founder and owner of Ezion, Chew Thiam Keng use to work for Tan Kim Seng as the MD of KS Energy when Tan is the chairman there. Chew of Ezion go through an RTO of Nylect in 2007 together with a partner Lee Kian Soo. Lee, the current non-executive chairman of Ezion, is also the founder of Ezra Holdings and father of its current Group CEO, Lionel Lee. Ezion will anticipate the market for potential charterers or buyers for liftboats or Rigs. Ezion then build all it’s liftboats and rigs in Ezra's Vietnam Triyards. At the same time, Ezion’s rigs or liftboats will require offshore support vessels or subsea vessels, which they will charter from Ezra. The vessels from Ezra is normally higher-end vessels. In case they require lower-end vessels, Ezion can charter from his former chairman Tan Kim Seng's Swissco. After Triyards deliver the Rigs to Ezion, Ezion can either bareboat charter it out, or if the project tender require crew onboard to operate, Swissco newly acquired Scott & English can takeover to operate the Rigs. Aside from Rigs and Offshore support vessels, Ezra & Ezion is also closely related to Oil and Gas Exploration and Production (E&P) companies such as Loyz Energy and Rex Oil and Gas. Loyz Energy is formerly known as Sim Siang Choon Ltd. Loyz’s current Managing Director is Adrian Lee. Adrian Lee is the brother of Lionel Lee – Ezra CEO and son of Lee Kian Soon. Loyz Energy is also partnering with another company Rex International to co-share production wells. Rex is listed in SGX. Both the companies had also signed cooperation agreement so that Loyz can use Rex proprietary technologies for exploration work. Now let’s analyse the relationship of Swissco and Viking Offshore, another Catalist listed company together with an ex-SGX listed company Labroy Marine. Viking offshore is owned by Andy Lim another industry veteran. Lim is the husband of first PAP female Minister Lim Hwee Hwa. Although she is no longer the minister, thanks to WP Aljunied's victory, her influence must not be underestimated. Viking Offshore main business is Equipment supply for Offshore industry. Recently Viking also announced its recent involvement in Rig business partnering with Tan Boy Tee & Chan Kwan Bian to own and build rigs. Tan and Chan are founders of Labroy who sold it to Drydock World in 2007 for a whopping S$2.4 billions. Tan Kim Seng (Swissco), Andy Lim (Viking), Tan Boy Tee (ex-Labroy) and Chew Hua Seng (founder of Raffles Education) are founders of Tembusu Partners in 2006, a private equity fund manager specialising in growth capital in oil and gas. At the same time former Minister Lim Hwee Hwa and Yeo Cheow Tong are directors of the company as well. This makes Viking related to Swissco, Labroy and the Parliament. Let us see how these companies create businesses for one another in the O&G industry. First we have to understand the O&G value chain which I mentioned in my earlier blog. Loyz Energy & Rex will explore and own oil wells. Once they discover oil, they will require Rigs to drill the oil wells, Offshore Construction & Subsea Vessels to construct the subsea network and support the Rigs, then finally FPSO to produce and process the oil. The flow goes like this. built the vessels in Ezra's Triyards who own shipbuilding yards in Vietnam. Vessels under-construction in Triyards will then purchase major offshore equipment from Viking subsidiary as below. 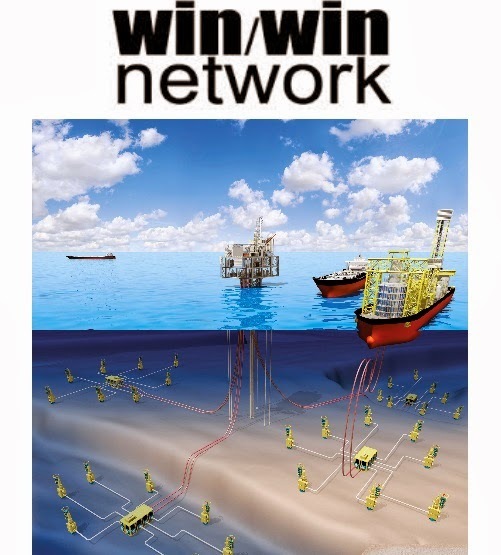 Similarly for Viking or Swissco's own Rigs. Viking's Promoter who supply Rig deck equipment. Now we see how the rich are creating business for each other, building a big network of support and benefiting each other. Each contracts they award are in tens and hundreds of millions. A Jack up Rig typically cost USD150-250M while Liftboats cost USD60-70M to built. Day charter rates for Rigs is USD50-200K while Liftboat day charter rate can be approx. USD80k. Now we see how the rich are creating businesses for each other, building a big network of support and benefiting each other. Now you know why 90% of the wealth is always controlled by 10% of the people. Me and you can most probably be one of the 90% who donate our money to those 10% rich. No wonder the rich gets richer and richer, and the poor gets poorer and poorer. Nevertheless if we try to understand the Oil and Gas Industry and their businesses, then applying our little knowledge of Fundamental and Technical Analysis, hopefully we can be one small group within the 90% investors who can have a small bite of the cake!